Moving from the luxury of dedicated point-to-point connectivity in favor of asynchronous, shared, and unpredictable IP networks may seem like we’re making life unnecessarily difficult for ourselves. However, there are compelling reasons to make the transition to IP. In this article, we look at the primary motivation for moving to IP and the benefits it provides for broadcasters. 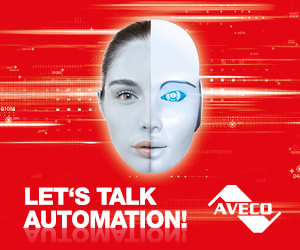 SDI, AES, and MADI infrastructures have stood the test of time. They are predictable, reliable, and provide guaranteed bandwidth. However, they are extremely rigid and inflexible. When broadcasters wanted to move from 270Mb/s SD to 1.5Gb/s HD, large parts of the infrastructure had to be replaced. Although both systems still used SDI, and HD-SDI is generally backwards compatible with SD-SDI, forwards compatibility from SD to HD was usually not possible as SMPTE had not formalized the HD specifications when SD was released. Europe and the US use fundamentally different frame rates, 25 fps (frames per second) for Europe, and 30/1.001 fps for the US. To accommodate this, SMPTE’s ST292M, the specification for HD-SDI, defines two-bit rates; 1.485 Gb/s for Europe’s 25 fps and 1.485/1.001 Gb/s for the US 29.97 fps (30/1.001) and 23.98 fps (24/1.001). This provides a significant challenge for manufacturers and systems installers as these two-bit rates have no simple ratio between them resulting in added complexity to the design. Frame accurate events are also difficult to synchronize between metadata and video. To get the most out of High Dynamic Range (HDR) video, real-time frame-accurate data must be sent to the viewers compatible television set to allow it to change its display parameters to match the specific scene. Diagram 1 – SDI systems requiring frame accurate switching were complicated, the required data needed to be embedded into the SDI stream to maintain frame accuracy, but would also need to be de-embedded for the SDI to be processed by the vision switcher, resulting in a potential loss of frame accuracy and corruption of metadata. Achieving frame accuracy is possible in SDI and is performed regularly. But it requires the use of SDI embedders and de-embedders. These are devices that insert audio and metadata into the auxiliary parts of the SDI signal not used by the active video. This guarantees frame accuracy but adds high levels of complexity to the workflow as the metadata must be formatted correctly for embedding and decoded correctly for de-embedding. There is no additional timing information stamped into the metadata, as soon as de-embedding occurs, the absolute timing relationship with the video is lost. Innovative SDI solutions have grown over the years as part of a cottage industry to solve these challenges. Nowhere else in wider industry would you find such imaginative and convoluted methods of working. More demands are being placed on SDI and bit rates have been slowly increasing to match the new format requirements. Progressive HD needs 3Gb/s and the new 4K and UHD formats are using four, 3Gb/s cables for each stream giving an aggregate of 12Gb/s. Uncompressed, 4:4:4 sub-sampled color, 120 fps video, requires more than 100 Gb/s circuits. SMPTE is working on the 12Gb/s SDI, but even with this, we would need ten coaxial cables for each video stream. Routing and processing four SDI coaxial cables per video feed is a further challenge. The massive amount of weight required in additional cable makes the option of “4 x 3G-SDI” per video feed unacceptable for an outside broadcast truck. It’s fair to say, we’ve reached the limits of SDI technology. Diagram 2 – 4K UHD requires 4 x 3G-SDI coaxial cables. Whereas fiber-Ethernet, only needs one lightweight connection. Ethernet speeds are now reaching the bit-rates necessary to deliver real-time television. A 10GbE connection is readily available and can carry five 1.5G-SDI HD video streams simultaneously. Newer 40GbE infrastructures can carry three 4K streams requiring 12Gb/s each. And with 100GbE systems becoming available, lightly compressed or lower frame rate 8K formats can be transported. With 400GbE on the horizon, high frame rate, high dynamic range, 4:4:4 sub-sampled color, will be easily achievable. Other than setting the transmission-type flag in the header, that is UDP or TCP etc., IP has no knowledge of the data payload it is carrying. Consequently, US and European frame rates can be liberally mixed within the same network. 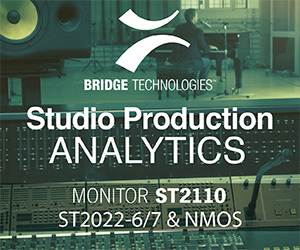 SMPTE has recently released its IP video and audio standard ST2110. Using UDP and RTP, ST2110 has abstracted away the video and audio essence from the underlying hardware, thus freeing it from the tight constraints of SDI, AES, and MADI. Each frame of video, audio, or metadata has a unique timestamp referenced to the IEEE-1588:2008 epoch from midnight, January 1st, 1970. Therefore, there exists a timestamp reference between the video, audio, and metadata allowing each stream to be processed independently of the other. The streams will be combined in the playout stage and frame accuracy is guaranteed due to the RTP timestamps. The ability to process each of the streams independently provides many opportunities for datacenter processing both on-prem and off-prem. Through virtualization, private clouds can be built to deliver on-prem stream processing in datacenters. Although there are many challenges to overcome in terms of latency and packet jitter, the path is open for innovators to provide real-time SaaS (Software as a Service) solutions for broadcasters. 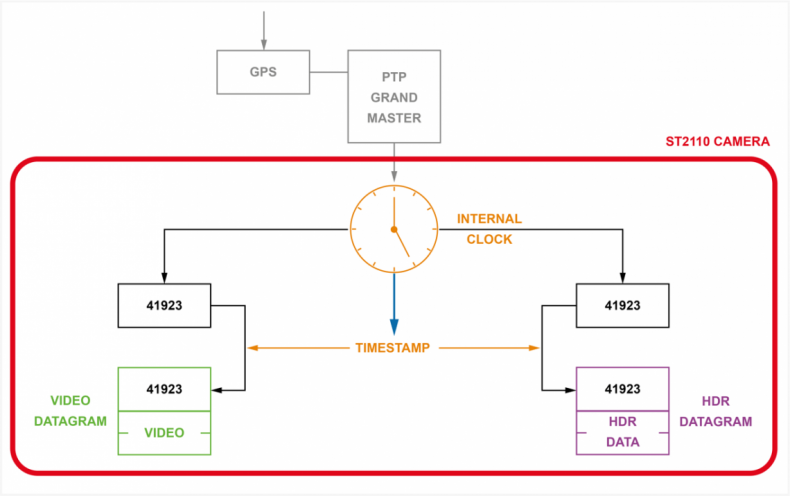 Diagram 3 – ST2110 provides a unique timestamp for each frame of video, audio, and metadata, allowing the time relationship, and hence frame accuracy, to be maintained for each essence stream, regardless of how it is processed. Datacenter storage and processing was complicated with SDI due to the highly specialist interface cards required to convert synchronous real-time SDI circuits to asynchronous computer server systems. But as we move more to IP, there may be a requirement for high-speed NIC’s (Network Interface Cards). They are readily available in the IT domain. IP provides two-way data transfer, something broadcasters have not been able to easily exploit. A satellite broadcast to a home only works in one direction, if the broadcaster wants data back from the viewer, then they rely on the home owner connecting their set-top-box to a telephone line or ADSL connection. Traditionally, broadcasters have relied on remote monitoring stations or even viewers complaining to determine if their broadcast is working correctly. But todays viewer finds this approach unacceptable and if a picture starts breaking up will soon move to another channel. IP connectivity allows broadcasters to pinpoint anywhere through the entire delivery chain, areas where problems may be occurring, and then fix them quickly. Broadcasters will soon have access to real-time viewing data and be able to target specific adverts to them. And even provide better localization and suggested viewing. The collective research and development currently undertaken in IT is, and always will be, significantly higher than that of broadcast. Innovation in high speed networks seen in high-frequency trading for banks is having a direct impact on IP broadcast infrastructures. And development in video and audio streaming over the internet is paving the way for real-time broadcasting, maybe even replacing traditional satellite, cable and radio-frequency transmission. For traditional broadcasters to stay relevant, they must meet the needs of their audience. Report after report is showing that viewers want to watch their programs when they want, how they want, and where they want. This demonstrates why hand-held devices are extremely popular among the emerging, ever demanding, new viewers. Not all broadcasters will move to IP. If you are working in an HD-SDI system and you will not need HDR, HFR, or WCG (Wide Color Gamut), or be able to gather statistics from your viewers, then there is no need to progress to IP. But if a broadcaster wants to improve their reach to larger audiences and provide targeted programming and advertising, then the reasons to move to IP are compelling. ​What Bitrate Makes The Best Viewing Experience? Why Is Storage So Slow To Change?